Glossy, pitted, semi-glossy – Glaze studies are critical to my exploration of surface treatment. 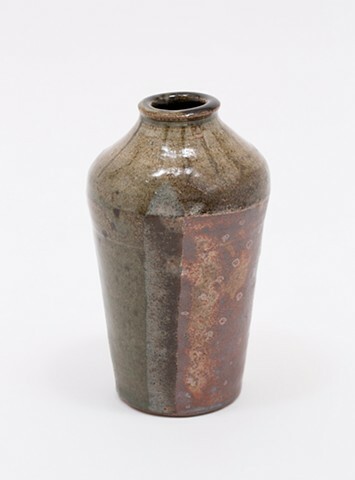 I prefer to “test” directly on vessels as the larger surface area collects more information about the glaze. This piece showcases a test of glaze transparency and the reactions in combination with another glaze. The overlap resulted in a dry, matte-grey, pitted and slight raised color field.